Considered “the most sweeping reform of our food safety laws in more than 70 years”, the U.S. Food and Drug Administration (FDA) Food Safety Modernization Act (FSMA) established new guidelines to protect U.S. food supply, shifting the focus from response to prevention of contamination. Comprising seven foundational rules, the new regulation has far-reaching consequences that impact food companies around the globe. Despite the burden that this changing regulatory scenario may present, forward-thinking companies can see new requirements as opportunities to gain competitive advantage in a highly competitive industry. Even more so, companies should take advantage of Federal and State R&D Tax Credits to support their efforts towards safer and more efficient operations. According to the FDA, one in every six Americans, or 48 million people, get sick, 128 thousand are hospitalized, and three thousand die from food-borne diseases every year. 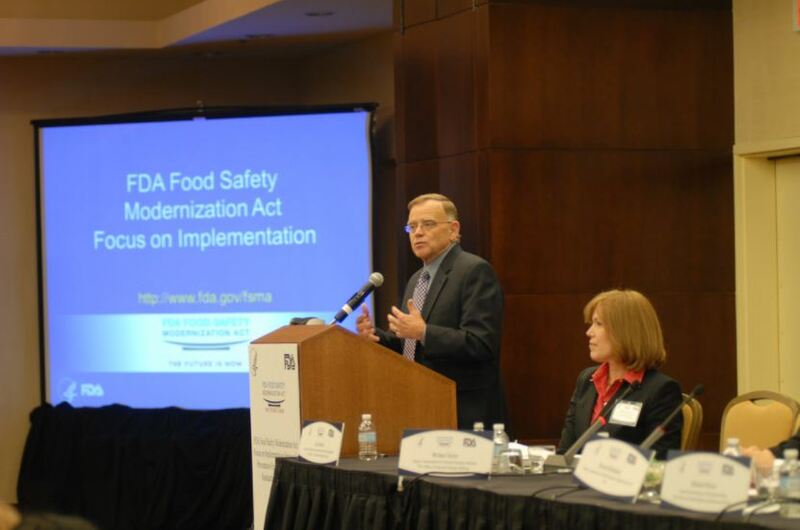 Aiming to mitigate this major public health burden, the FSMA established a new focus on preventing food safety problems rather than responding to them after they occur. The urgent need for new, comprehensive regulation emerged against the backdrop of an increasingly globalized food supply chain. The complexity of food safety concerns has reached unprecedented levels, with FDA regulated products coming into the U.S. from over 300 thousand facilities in 150 different countries. An estimated 15 percent of food consumed in the U.S. is imported, 50 percent of fresh fruits, 20 percent of vegetables, and 80 percent of seafood. I. Produce Safety: This rule establishes science-based standards for the safe growing, harvesting, packing, and holding of fruits and vegetables grown for human consumption. Key requirements pertain to six areas, namely, 1) agricultural, 2) biological soil amendments, 3) sprouts, 4) domesticated and wild animals, 5) worker training and health and hygiene, and 6) equipment, tools and buildings. All of these are identified as potential routes for microbial contamination. II. Preventive Controls for Human Food: This rule updates the Current Good Manufacturing Practices (CGMPs) with new provisions pertaining the education and training of employees and the control of allergens. It also requires food facilities to implement a written food safety plan containing hazard analyses, risk-based preventive controls as well as supply chain and recall programs. III. Preventive Controls for Animal Food: Similar to the requirements for human food, this rule urges facilities to implement new CGMPs specially targeted at the animal food sector, which consider the particularities of different species when assessing risks. IV. Mitigation Strategies to Protect Food Against Intentional Adulteration: Aiming to prevent wide-scale harms to public health, including acts of terrorism involving food supply, this rule requires risk-reducing strategies for certain food-related processes. Food companies must prepare and implement a food defense plan that identifies vulnerabilities and establishes actionable steps to overcome them. Mitigation strategies should include monitoring, corrective actions, and verification activities. In addition, facilities are urged to maintain records and ensure adequate training. V. Foreign Supplier Verification Programs (FSVP): Targeting importers of food for humans and animals, this rule establishes certain risk-based activities designed to verify whether imported food meets U.S. safety standards. In order to guarantee the required level of public health protection, importers must perform hazard analyses, evaluation of food risk and supplier performance, supplier verification (options include on-site audits, sampling and testing, and the review of food safety records), and corrective actions. VI. Accredited Third-Party Certification: The FSMA establishes a voluntary program for the accreditation of third-party auditors that can issue certification for foreign suppliers and the food they produce. Requirements for accreditation include standards of competency and capacity, impartiality and objectivity, quality assurance, and records of procedures. VII. Sanitary Transportation of Human and Animal Food: With the objective of protecting food from farm to table, this rule addresses potential issues in transportation that can create food safety risks, including deficient refrigeration, cleaning procedures, and protection protocols. Requirements pertain to shippers, loaders, carriers by motor or rail vehicle, and receivers. Overall, these rules aim to balance flexibility and robustness to effectively protect the American consumer, while offering a viable path towards compliance. It is abundantly clear that as the implementation process unfolds, food organizations of all sizes and origins must turn towards innovation to ensure timely adjustments. The greatest challenge is to achieve regulatory compliance while concurrently satisfying other business needs. The new framework has endowed the FDA with increased power to penalize non-compliant agents. In the pre-FSMA era, the risk of non-compliance may have been worth it when weighted against modernization costs. The new regulation has dramatically changed this scenario, with heavier penalties and significant business impact for offenders, which can ultimately compromise entire operations. Even though the FDA does not require the use of any specific system or technology, innovative and automated solutions can support food companies as they navigate this new era of food safety. For each one of the seven rules established so far, rapid response, consistency, documentation, and data analysis seem to be the key pillars of successful compliance efforts. It is important to consider the transition into FSMA standards as an opportunity to create new efficiencies that not only ensure compliance but enhance competitiveness. Access to real-time data analytics is a game-changer when it comes to prevention in food safety. A wide array of technologies, including advanced sensors and IoT-enabled equipment, promise to change the production, processing, storage, and transportation of food, facilitating compliance with new regulations. The following sections present examples of innovative technologies that are bound to be at the basis of a new, preventive approach to food safety. Data-driven solutions can support compliance in a variety of ways. For instance, when it comes to process controls or the need to control for hazards that are “reasonably likely to occur”, the monitoring of key metrics and parameters can be decisive. 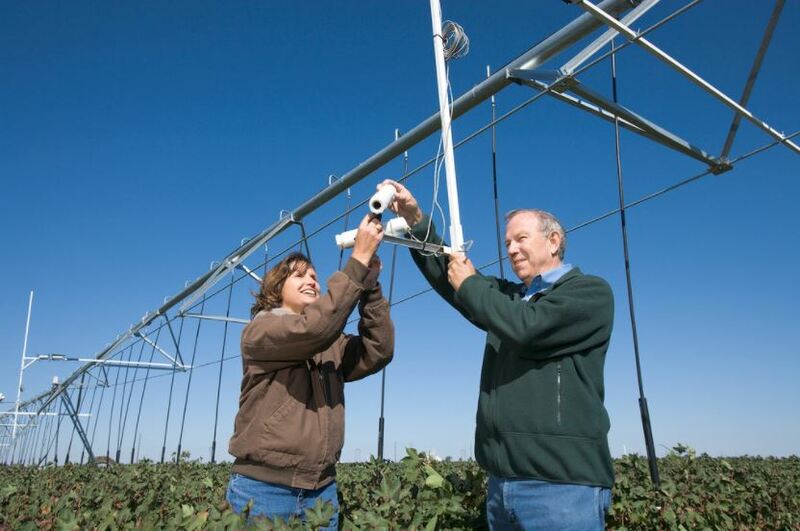 One area that has greatly benefited from data-driven innovation is agriculture. Based on cutting-edge data collection technologies, precision agriculture enables farmers to use predictive analytics to optimize yield and overcome operating deficiencies. The variable-rate application of agricultural inputs, such as water, seed, fertilizers, and pesticides, is an interesting example of how precision techniques can reduce costs and increase productivity. The use of sensor and location technologies help farmers determine the exact needs of each area, allowing them to make smart decisions that take into consideration field variability. Monitoring capabilities in precision farming can also facilitate compliance with food safety regulation. Headquartered in Molina, Illinois, John Deere has been at the forefront of agricultural innovation. The company uses sensor and image data from its equipment to optimize machine performance as well as agricultural processes. Using the John Deere Operations Center app, farmers can access, analyze, and share data to record and document processes, which is a key aspect of FSMA compliance. Norwood, Massachusetts-based Analog Devices is also engaged in creating innovative monitoring solutions for agricultural applications. Their recently prototyped system aims to allow farmers to know exactly which part of a field each piece of produce came from and which amendments were made regarding fertilization and pest control. The IoT, sensor-to-cloud solution will combine near-real-time monitoring of produce metrics and near infrared (NIR) miniaturized spectrometers to provide advanced food quality analysis. Working in partnership with Israeli company Consumer Physics, Analog Devices aims to generate a fingerprint of the fruit or vegetable, giving farmers access to comprehensive data on its history. As has been the in many other industries, smart wireless sensors can also revolutionize the way food processing, storage, and transportation are monitored and accounted for. Innovative systems provide automated, 24/7 monitoring and recording of key metrics including temperature, humidity, and equipment status. Furthermore, wireless handheld devices can be used to collect temperature and hygiene data whenever needed, speeding up monitoring processes and eliminating the risk of human error. Located in Bedford Heights, Ohio, Paragon Robotics offers smart sensor systems to monitor temperature, light, and humidity in food storage facilities and refrigeration units. In addition to ensuring product quality and eliminating costly spoilage, the system facilitates regulatory compliance. With an accompanying software suite that provides a real-time dashboard, analysis charting, and alarm notification history with custom annotations, the system easily exports data for audit requirements. Technology can also help create more efficient testing practices. For instance, automated systems organize information regarding what needs to be tested in which frequency. Similarly, analytic solutions deliver actionable information based on test results, which may include the identification of recurrent problem areas and the need for further investigation. Innovative technology can also allow for faster test times and higher accuracy of results. Smaller, more flexible solutions offer a smooth transition to automated laboratories, as they can be easily integrated into existing configurations and workflows. Headquartered in Bellevue, Washington, BioControl System has created the Assurance GDS, an innovative testing system that combines targeted isolation capabilities of immunomagnetic separation and DNA-based detection to provide quick and highly-reliable tests for a diverse range of food samples. The solution allows for both automated and manual tests while accommodating “batch-and-test” and “continuous processing” alike. BioControl has also developed software that automatically stores all associated test data into a laboratory management system (LIMS). The electronic concentration of information streamlines documentation, while allowing for trend analysis and traceability, all of which are key aspects of FSMA compliance. By offering a customizable, user-friendly platform the software solution enables lab managers to oversee operations in a more effective and efficient way. Located in Beverly, Massachusetts, LexaGene is also engaged in testing innovation for food safety applications. The biotechnology company is working on an open-access, fully automated pathogen detection platform that could change the way food companies diagnose and prevent contamination. The Polymerase Chain Reaction (PCR) technology utilizes single-use disposable cartridges that concentrate and purify genetic material from samples as well as microfluidics to perform molecular analyses. Designed for on-site use without the need of a skilled technician, the technology is expected to drastically reduce testing times, from one to three days to just one hour. The FSMA has also introduced new requirements for allergen control. Special attention must be paid to “undeclared allergens”, meaning allergens that are accidentally found in a food product. Accidental cross-contact contamination is the main source of undeclared allergens, which constitute a frequent cause of recalls. In fact, between 2005 and 2014, some 12 million pounds of product were recalled because of this kind of contamination. Food companies must be prepared to detect and avoid this important form of hazard, specially as certain allergen-free segments experience unprecedented grow, such as gluten-free products. Headquartered in Lansing, Michigan, Neogen offers test kits to detect a wide variety of allergens, including tree nuts, almond, egg, gluten, crustacea, and walnut residues. Capable of detecting target allergens in ingredients, liquids, clean-in-place rinses, finished foods, and environmental surfaces, Neogen’s food allergen kits exemplify how technology can facilitate regulatory compliance. The solution offers results in 10 minutes or less. The FSMA is built upon a holistic approach to the supply chain. New track-and-trace standards target the integrated supply chain, instead of focusing on its isolated components. Supply chain traceability enables companies to know exactly where each ingredient came from and where finished product has gone, including detailed information for every step of the way. Digitized systems facilitate documentation, report, and monitoring, which can ultimately reduce the number of FDA mandated recalls. By adopting this kind of technology, companies not only protect their consumers but also avoid costly, and sometimes permanent, damages to their reputation. Headquartered in New Hartford, New York, Par Technology has created SureCheck, a food safety system that combines IoT and traceability software to support monitoring activities, data input, and task management along the supply chain. The Software as a Service (SaaS) solution captures data and stores it in the cloud, giving users real-time access, wherever they may be. It automates hazard analysis and critical points (HACCP) plans and audit trail documentation, reducing the time necessary to complete food safety inspections by up to 60 percent. This is made possible by SureCheck Advantage, an IoT-enabled, multifunction device that offers infrared and RFID with Bluetooth wireless connectivity. In addition, Wayne, Pennsylvania-based Deacom offers an integrated ERP software featuring advanced lot tracking and traceability functionalities, capable of instantly reporting any aspect of inventory history. Users can see every raw material that went into a particular job, offering the ability to track lots up and down the entire formulation to shipment process. It also provides specific details, including full contact information on customers who received the lots. Deacom’s software helps optimize inventory levels through a material requirements planning function that balances supply and demand taking expiration dates into account. Recipe management is yet another functionality, with descriptive information, technical properties, quantities, costing, notes, and history. The innovative ERP further simplifies distribution with direct store delivery capabilities. It provides real-time driver information along with various mobile functionalities that allow for payment, signature, order changes, etc. Also in an effort to enhance traceability, Livermore, California-based SafeTraces has developed an innovative method to accurately verify source, purity, and food safety and sanitation on-site, in minutes. The odorless, tasteless, and invisible tracer is extracted from natural sources and has high stability, past normal product shelf-life. It works as a microscopic barcode that can be applied on fresh produce, protein, processed foods, liquid and dry goods. The technology could contribute to reducing the impact of contaminated food and prevent foodborne illnesses, which are both a public health and economic concern. The FSMA is a turning point for the American food industry, with a ripple effect across the globe. Aiming to establish a science-based, preventative approach to food safety, the Act has imposed a considerable amount of new requirements, putting additional strain on companies, who must factor compliance initiatives into their list of priorities. Technology is a key ingredient in enabling a smooth transition into this new era of food safety. Innovative solutions can help companies take advantage of this moment of change to implement modernization solutions that not only guarantee compliance but also create efficiencies and positively impact their bottom-line. Federal and State R&D Tax Credits are designed to support and stimulate companies as they develop/adopt new and improved processes and solutions. FSMA compliance efforts are strong candidates to qualify for this tax credit opportunity.